The ultimate worry-free family getaway tour package: discover California’s iconic redwoods, visit Alcatraz Island prison, enjoy a private custom tour of San Francisco top attractions and explore some of the best Bay Area outdoor activities. No worry about not being able to visit Muir Woods who no longer allow the public to access the redwoods forest without going through a complicated and paid reservation process, or about Alcatraz sold out tickets, traffic and parking hassle! This worry-free vacation package is your priceless piece of mind all included, it appeals to families with kids and to all ages. Looking for the perfect vacation activity for your family, friends or relatives? We have the perfect outdoor adventure and getaway tour package for all ages and preferences. Book this ultimate worry-free family and all included getaway tour package, and discover California’s iconic redwoods, visit Alcatraz Island prison, and enjoy a private custom tour of San Francisco top attractions. 9: AM. Your private getaway tour package begins with complimentary meet and greet at your hotel in San Francisco. Your local and passionate tour guide will drive you across the Golden Gate Bridge heading north to Sonoma County. Once in Sonoma, you ‘will visit Sonoma Safari West Park located off-the-beaten track; an authentic African wildlife experience for all ages. This African style Safari park is a hidden gem nestled in 400 acres of remote wilderness in Sonoma County, and home to hundreds of wild animals and bird’s species. Sonoma Safari West is a family owned business with a limited staff, so the sooner you book the better as tickets are sold out months in advance; especially during the summer, holidays and weekends. You 2 to 3-hour safari adventure in a double-decker shared jeep adventure is a fully guided tour, conducted by a local safari tour guide expert. you may start with a 45-minute guided walking tour to see exotic wild animals and birds like flamingos, black and white colobus, primates, Fennec foxes, servals, Indian Crested Porcupines, De Brazza’s Monkeys, cheetahs, ring-tailed lemurs, bongos and exotic birds flying in an open grassland. During your safari jeep guided tour; you’ll will see an amazing array of wildlife including African mammals and birds such as giraffes, cheetahs, rhinoceroses, antelope, ostriches, zebras, impalas, lemurs, and so much more! Lunch break: Savannah Café is located inside this safari park and features safari ranch-style BBQ meals and more American food style. You may also enjoy more choices and cuisines in Santa Rosa, Sonoma, Petaluma or even in Marin County. 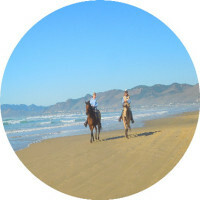 Your tour guide will choose the perfect place for you based on your tastes and preference. 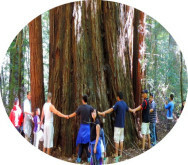 After Lunch, your personal tour guide will drive you to one of the oldest and largest forests of ancient redwoods, this will be either in Sonoma or in Marin County, and at no extra cost. We can also take you to Muir Woods National Monument who has become the first national park requiring all-year-round reservation to access this forest, without which you will get turned down at the main entrance. Please save yourself time and money and let your private tour guide take you to an older forest to see much bigger redwoods than those in Muir Wood like Armstrong State Park, or to Samul Taylor Redwoods, among other options we will offer you at no extra cost. However, if you still wish to visit Muir Woods, no worry, we can handle their complicated reservation system, parking permits and book the required tour based on their limited availability. You’ll also enjoy other stops and get to see some of the Bay Area top sights and attractions, your personal tour guide will take it from there, you’ll be in good hands. 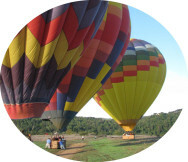 All applicable taxes, and Sonoma Safari West Park are included in this travel package. Sit back, relax and enjoy the views - we will not disappoint you. Regardless of the forest or redwoods you’ll will visit, you will enjoy a stroll among “the giants” and see some of the largest and tallest redwoods trees in the Bay Area. Your tour guide will give you a comprehensive overview and a guided tour regarding California ancient coastal Redwoods (Sequoia Sempervirens). These are evergreen, long-lived trees native to California living 1,200–1,800 years or even more. This species is famous for being the tallest living trees on Earth, reaching up to 379 feet (115.5 m) in height and up to 30 feet in diameter. These trees are also among the oldest living things on Earth. The ancient coast Redwoods are similar to the Giant Sequoias in the Sierra Nevada and in Yosemite National Park, a magical vacation destination we also offer on our website and can be combined with Lake Tahoe. Please wear appropriate clothes to get in and out from the large safari vehicle and take into consideration that you will be traveling off-the-beaten track on dusty backroads. Bring sunglasses, comfortable walking shoes, extra layers for cool mornings or afternoons as weather is unpredictable in the Bay Area. Experience the legendary Alcatraz prison tour experience combined with a private guided tour of San Francisco’s iconic attractions and sights. Explore two of California’s iconic destinations in one private custom and all-inclusive combo tour, tailored to your expectations. These two iconic sights and attractions are a must-see when you visit California. After the private custom tour of San Francisco’s top sights and attractions, you will embark on Alcatraz ferry to explore Alcatraz Island and famous prison, also known as ‘The Rock’. This custom adventure includes your Alcatraz ferry and prison entrance fees, all your taxes, pick-up at your hotel in San Francisco and drop-off at Alcatraz ferry terminal at the end of your private tour of San Francisco. 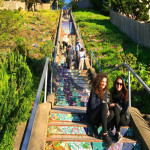 We will start with custom 4-hour private city tour; you will enjoy many photo stops and gain access to sites and neighborhoods normally prohibited to all other ground transportation while touring San Francisco famous attractions, narrow streets like Lombard, and other places off the beaten path. You will also get to see and stop at many places like Coit Tower, the ‘Painted Ladies’ (Victorian homes) at Alamo Square, Sea Cliff on Baker Beach offering stunning views of the Golden Gate Bridge. While traveling in comfort, you will learn about San Francisco’s history, architecture and geology, with stops along the way so that you can capture the stunning views of San Francisco iconic sights and vistas. These include the Historic Presidio, sweeping views from the Twin Peaks, Ocean Beach, Baker Beach, Telegraph Hill, Russian Hill, Fisherman's Wharf, Marina District, Palace of Fine Arts, Inspiration Point, Ghirardelli Square and its famous chocolate factor, and much more to see in San Francisco. Join us now and learn about the mystery of the Alcatraz “Great Escape” that endures 50 years after this historical event. Visiting Alcatraz Island is one of the most rewarding and fascinating experiences of any trip to San Francisco and California. Your Alcatraz combo adventure will take you to legendary Island also known as the ‘The Rock’. Following your private excursion of San Francisco, your personal tour guide will drive you to the Alcatraz Ferry terminal, a terminal that provides transfers from San Francisco Bay to Alcatraz and return. This is the only ferry line allowed to access Alcatraz Island. Don’t worry about traffic, parking, sold-out tickets and crowds; we take care of that on your behalf. Your private driver will redeem your Alcatraz trip voucher, get you the required official tickets to Alcatraz and help you to check in on the next ferry to Alcatraz Island. Once you disembark on the island, you will be offered Alcatraz’s award-winning self-guided audio tour, included in your tour price, so you can tour the Alcatraz Prison at your own pace and in your preferred language in addition to English. After visiting Alcatraz, you will return to Pier 33 by ferry where you can explore San Francisco Fisherman’s Wharf - home to the city’s top hotels attractions, museums, and seafood restaurants. 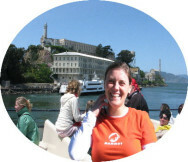 -Alcatraz is a steep and hilly rock located in the heart of San Francisco Bay. You will have to walk uphill, downhill, upstairs and downstairs (no elevators available). The distance from Alcatraz Ferry dock to the prison is about a quarter mile each way. However, Alcatraz visitors with disabilities may take the electric shuttle that runs twice an hour from the dock to the Alcatraz prison building, and twice an hour from the main entrance of Alcatraz prison back to the only ferry dock of the Island. The ride is complimentary and boarding is only available on a first come, first served basis from the dock or the prison main entrance, but boarding is not available halfway up or down. Carrying food and beverage: There is no food service available at Alcatraz. Eating is strictly prohibited on the dock area. You may enjoy a variety of snacks and foods on the ferries or simply have an early dinner. -No food, luggage, coolers, over-sized backpacks or packages are allowed on Alcatraz island. before you embark on Alcatraz Island. -Approved transactions of Alcatraz tours on our website do no constitute a guarantee of Alcatraz tours and tickets until Alcatraz official tickets providers approve it, which takes several weeks due to the increasing popularity of Alcatraz. What’s included in this 2 Day Family Gateway Worry Free tour? What’s Not Included in this 2 day tour? Meals, Muir Woods entrance fees, wine tastings, other entrance tickets to any optional site(s) or monument(s), driver’s gratuity tips (gratuities are recommended and customary in the USA at 15%-20%), drop off at your hotel after Alcatraz tour. Please note : The African Safari Jeep tour is a semi private tour. This was our first visit to California, we did a city tour and didn’t know hard was to get Alcatraz tickets, luckily, our tour guide Pat who was so professional and friendly, called the company, and arranged last-minute tickets for us to Alcatraz. 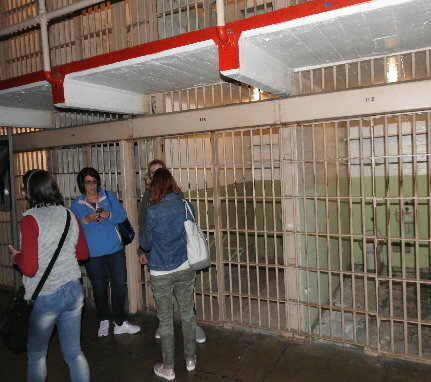 The experience lived up to our expectations and the reviews we had read about Alcatraz. We recommend this combo tour to all families with kids like us who have no time to scan through all these websites out there. This is a very serious and professional tour company, they exceeded our expectations. My husband and I decided to book the combo Alcatraz and city tour for our parents and in laws, we were a group of 7 persons, our local tour guide was amazing and very knowledgeable. Booking an SUV private tour versus the public bus tour is the ideal way to see 4-times more sights and attractions than the bus tour option and you get out as often as you want to visit places like Lombard street, the painted ladies, china beach, fort Miley, mission murals… we had lot of fun. 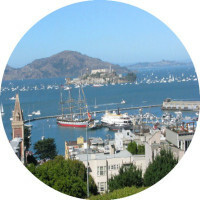 San Francisco is a beautiful and Alcatraz island prison tour is a must for everyone. This tour company was the only provider who had Alcatraz tickets available as all other tour companies we called were sold out. Alcatraz prison tickets are so hard to get, watch out and ensure you do book them in advance. Also, be sure to eat before you get on Alcatraz ferry as there is no food available on Alcatraz island. Bring extra layers and expect fog and wind in the middle of the san Francisco bay.